Walker wins in a three-way playoff; Strole wins by four strokes after second-place finish last year.  In the Boys Championship Division held at Grandview Golf Course, Johnny Walker (70-69) of Chandler finished regulation play tied for the lead at 5-under-par 139 with Daniel Thompson (71-68) of Phoenix and Nicholas Kling (70-69) of Paradise Valley. Walker went on to win the championship in a playoff. 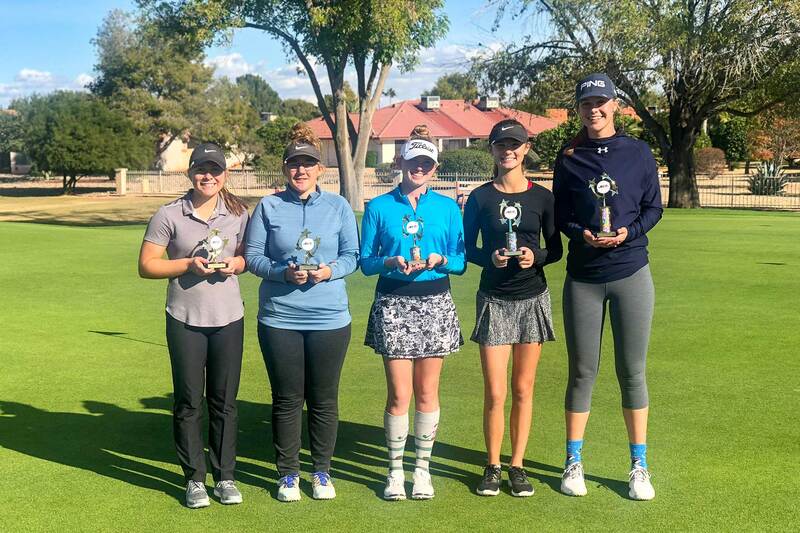 In the Girls Championship division, Avondale’s Carly Strole – after placing second in a playoff last year – returned to the Winter Classic this year in style by posting 1-under-par 143 (71-72) for the win.  The only sub-par total on the girls’ side, Strole finished four strokes clear of second-place finishers Kylee Loewe (74-73—147) and Gracie McGovern (74-73—147) both of Scottsdale. 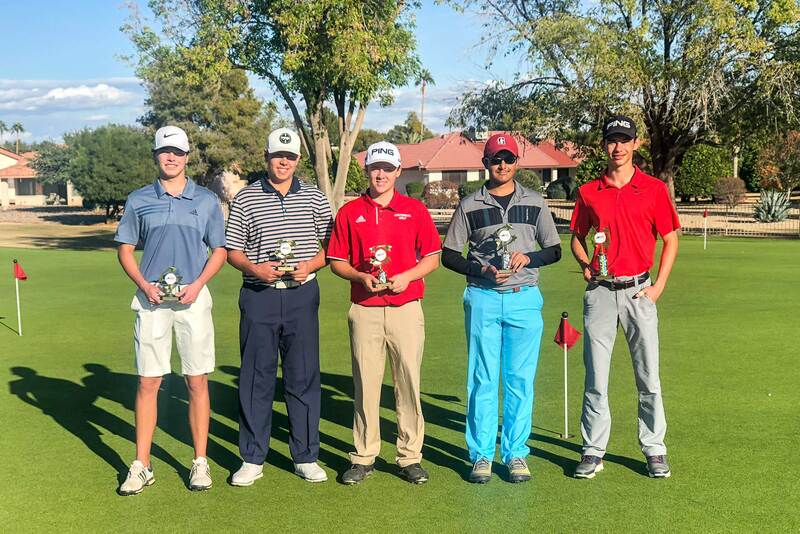 Tristan Kertesz (74-74) of Phoenix won the Boys 15-18 Division in a playoff over Rajveer Sethi (72-76) of Chandler who both finished regulation player at 4-over-par 148. 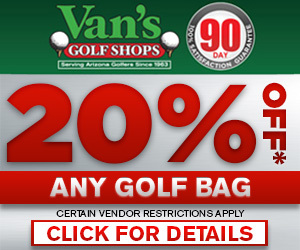 Carlos Astiazaran of Tucson won the Boys 13-14 Division at 9-over par (73-76—149) at the Wigwam Golf Club. 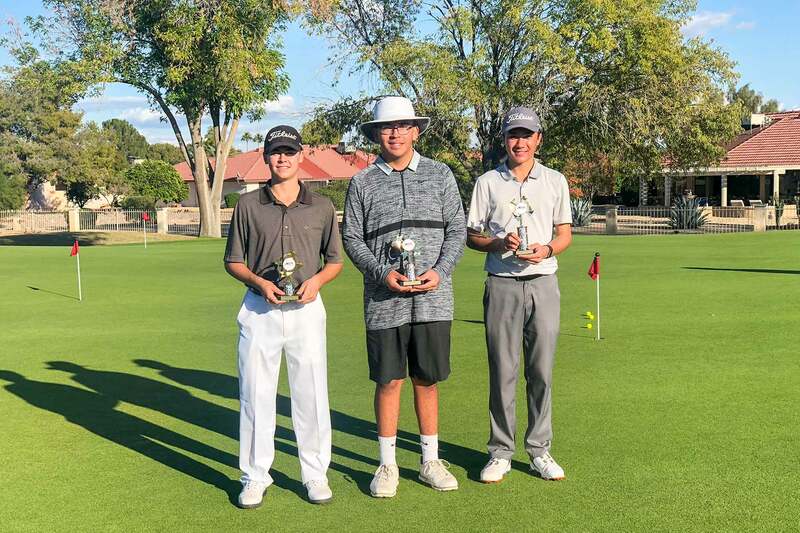 After a 10-and-Under win last year in the Winter Classic, Jet Johnson of Scottsdale returned this year to win in the Boys 11-12 Division at 12-over par (78-74—152), and Pierson Huyck from Phoenix won the Boys 10 and Under Division at 8-over par (42-38—80). In the Girls 15-18 Division, Breann Brennan of Chandler won at 20-over par (85-79—164). 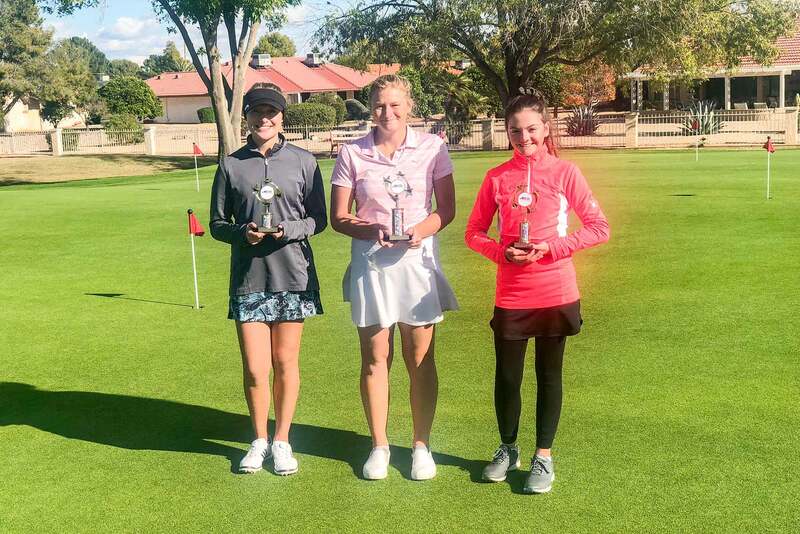 Kate Hauptman of Scottsdale won the Girls 13-14 Division at 21-over par (82-79—161), after her win last year in the Girls 11-12 division, which was taken this year by Natalia Lamadrid of Phoenix at 30-over par (86-84—170). And younger sister, Alexis Lamadrid, won the Girls 10 and Under division at 12-over par (44-40—84).